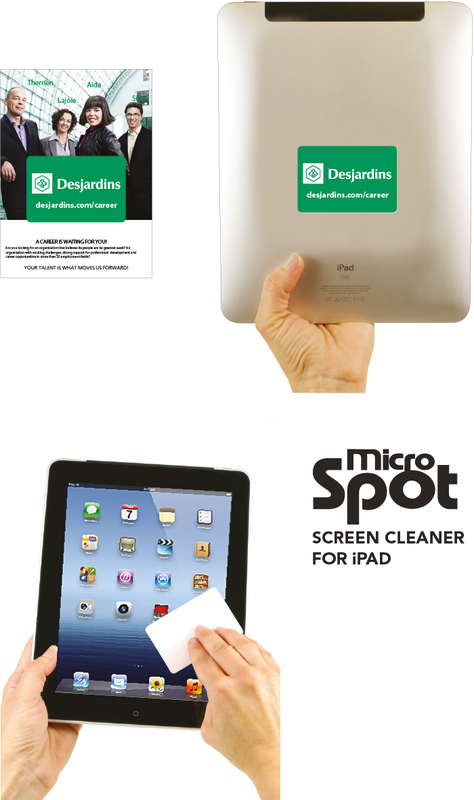 Customizable Large size 4-color print Microspot stick-on screen cleaner. Give your brand multiple exposures. LARGE size Ideal for use with all tablets, laptops, Kindles, Navigation Systems, and all other delicate touch screen digital devices.